I had the privilege of photographing Grammy-winner Yonrico Scott, longtime drummer with the Derek Trucks Band! 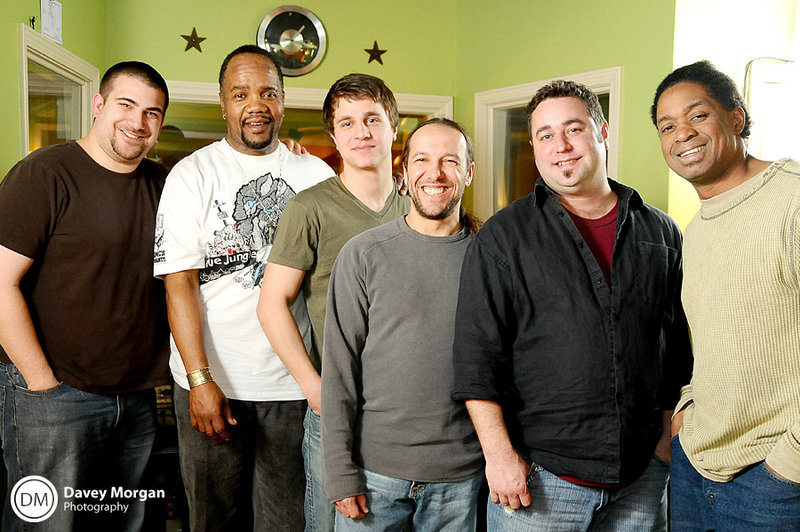 The Yonrico Scott Band has been recording a their new album at Sit-N-Spin Recording Studios. Matt Morgan, my brother, is the partner and creative director of Sit-N-Spin Studios. 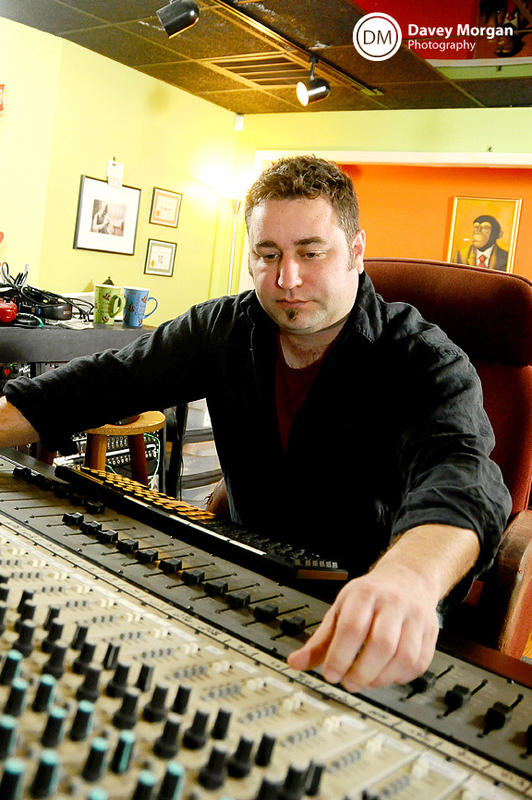 Scott, recording at Sit-N-Spin has brought a lot of attention to the Greenville, SC music scene. Greenville is hoping that the music scene will continue to grow with such talented and well known artists coming through to record and perform. This has been brought to attention through an article in the Greenville News and a video segment on Fox Carolina! 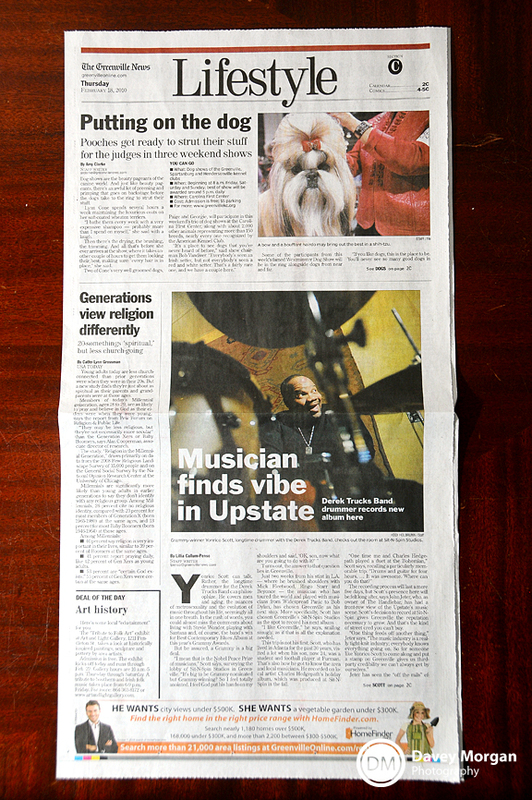 The article was on the cover of the Lifestyle section of the February 18, 2010 issue of The Greenville News. Be sure to read the article online! Here is the segment from Fox Carolina News. 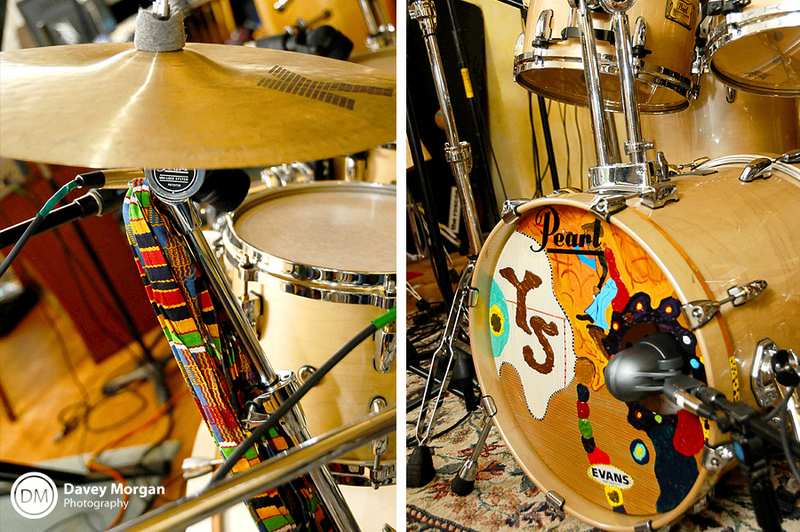 Check out Yonrico’s drums. The artwork is really awesome! There were a lot of instruments in there! 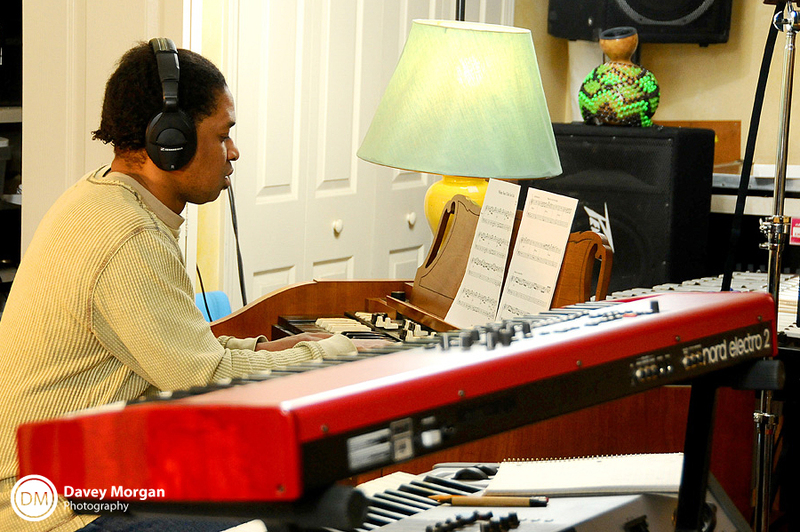 Kofi Burbridge, can really get into a vibe on the keyboard and the flute. Once he gets going, you can’t stop him! It’s rare to find Todd Smallie not smiling or having fun playing guitar. 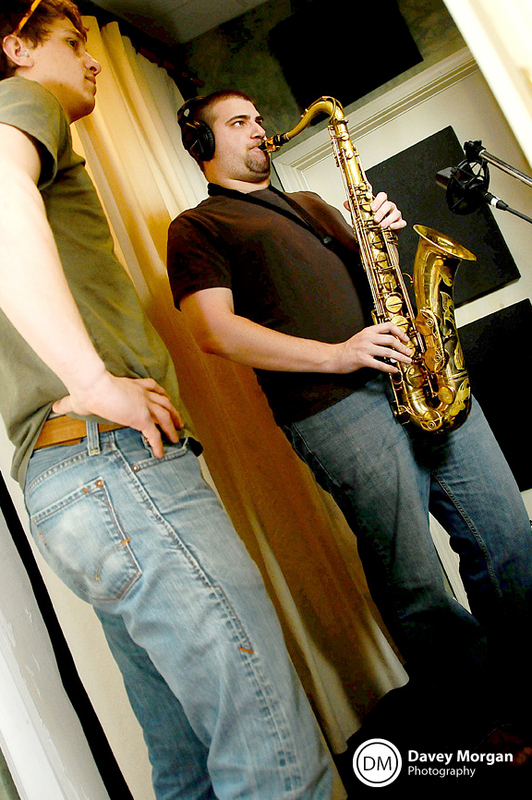 Alex Vieira, left, studio engineer and Mace Hibbard, on saxophone and mastermind song writer are checking some sounds. 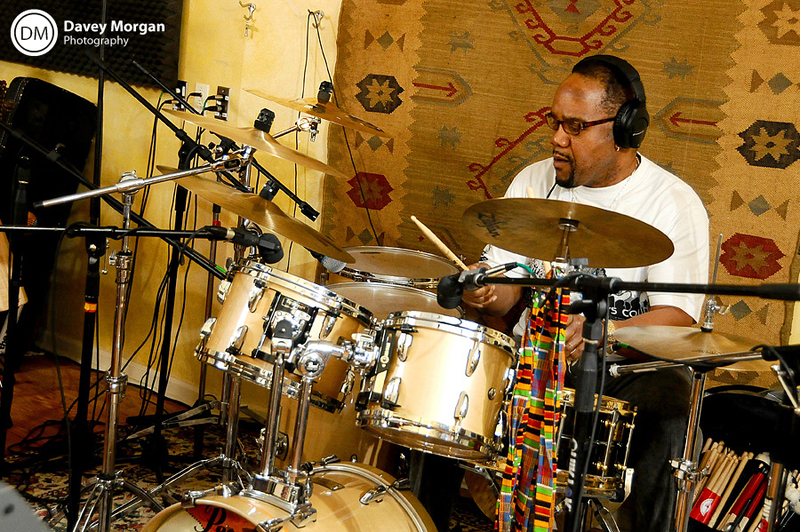 The extremely talented and Grammy-winner, Yonrico Scott, is jamming on his drums. Matt Morgan, partner and creative director of Sit-N-Spin Studios, was working hard on the board. 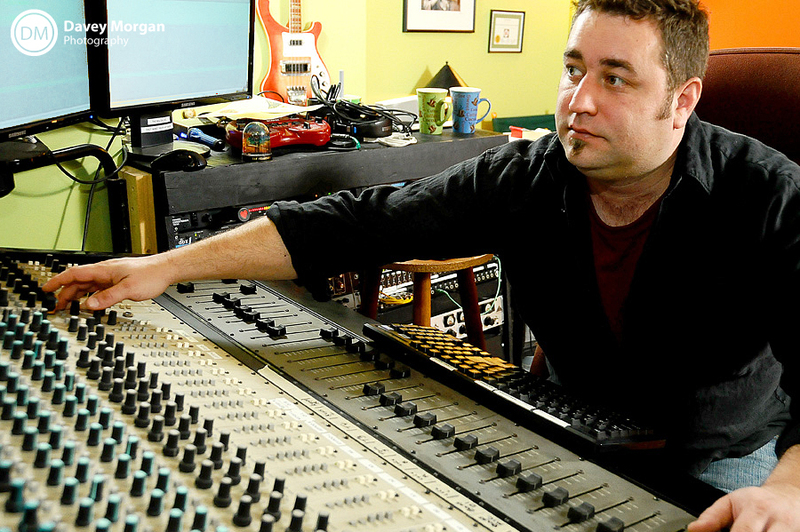 Morgan not only has a recording studio, but is a musician himself and has been in bands such as The Lackies and Seconds Flat. He also won 2nd place for Best Instrumentalist in the Upstate Music Awards, topping Edwin McCain in 3rd place. 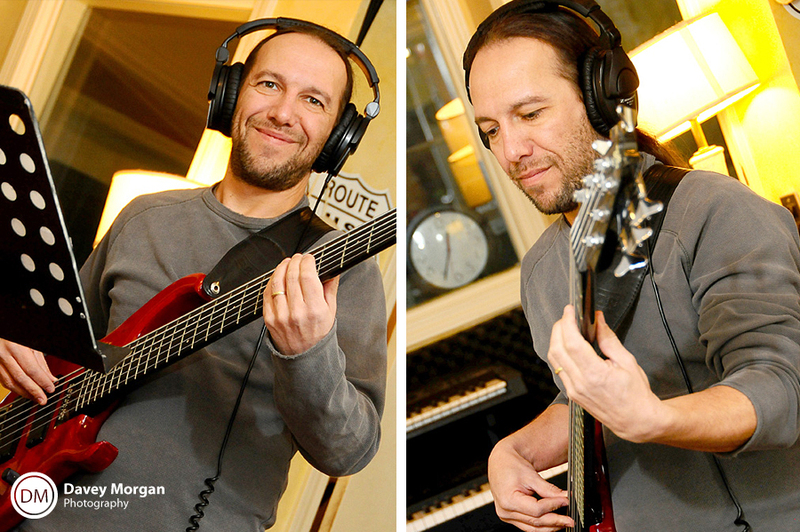 I had a lot of fun photographing Yonrico and everyone else during their recording session! It was really neat to see how it is recording such talented musicians. Besides being laid back and really nice, they just love to play music! They even signed a copy of the photo above! How cool is that?! If you haven’t listened to the Derek Trucks Band or The Yonrico Scott Band, be sure to check them out now! If you need any recording done, be sure to check out Sit-N-Spin Studios or give them a call at 864-414-4855. 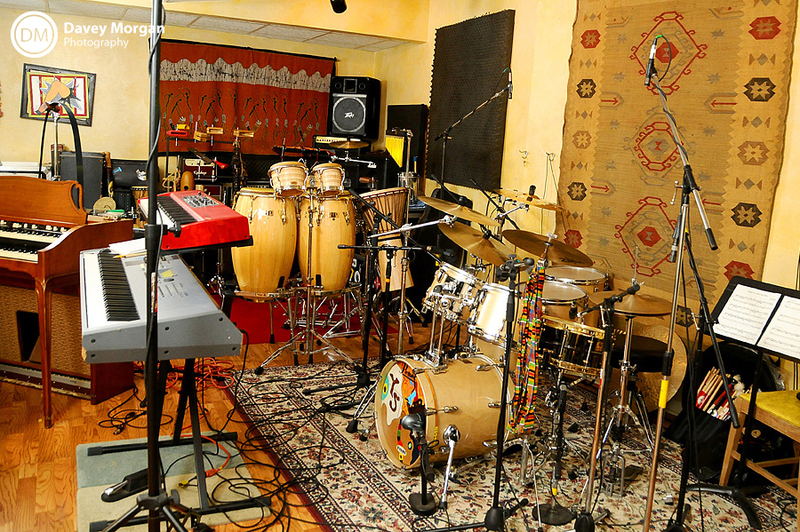 They have awesome pricing even though they record people like Grammy-winner Yonrico Scott! Posted in Anything, Fun, Musician | Comments Off on Grammy-Winner Yonrico Scott! You are currently browsing the archives for the Anything category.